The lamp fails to meet the electrical safety standard. 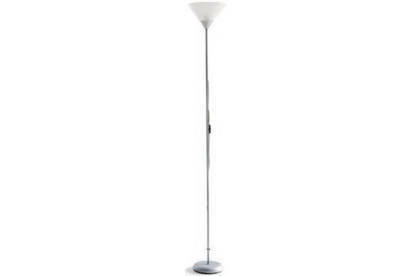 Kmart has recalled the Homemaker Gerry Upright Floor Lamp because it fails to meet the assembly and construction requirements of the electrical safety standard. Issues with the internal wiring could cause a fire or electric shock. The lamps were sold at Kmart between May 2007 and May 2015. Customers can find identifying information underneath the base of their lamp. Customers should unplug and stop using their lamp immediately. Return the product to any Kmart store for a full refund. For more information please contact Kmart Customer Service on 0800 945 995 Monday to Friday between 8:00am and 5:00pm or visit www.kmart.co.nz.